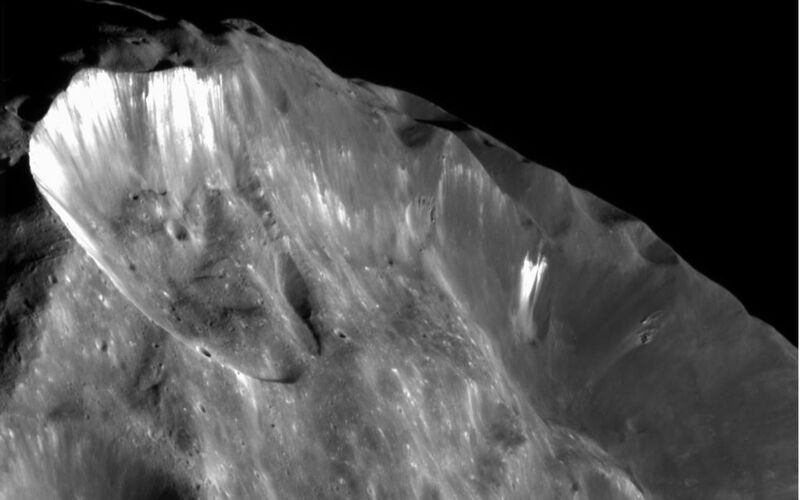 Images like this one, showing bright wispy streaks thought to be ice revealed by subsidence of crater walls, are leading to the view that Phoebe is an ice-rich body overlain with a thin layer of dark material. 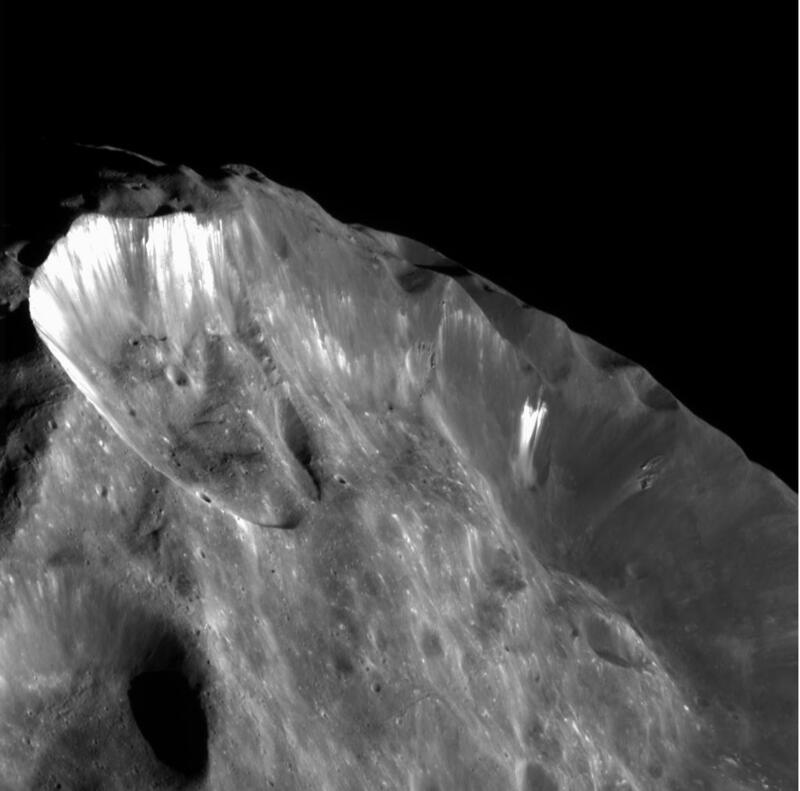 Obvious down slope motion of material occurring along the walls of the major craters in this image is the cause for the bright streaks, which are over-exposed here. 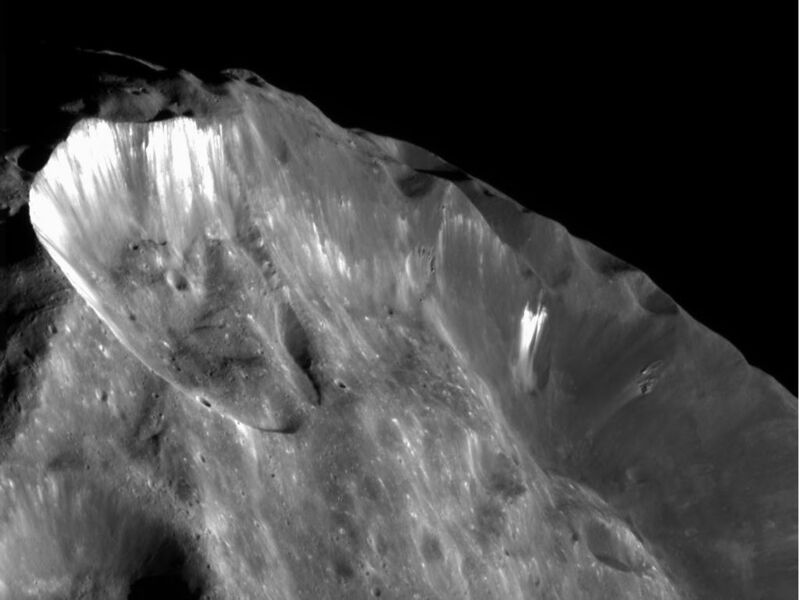 Significant slumping has occurred along the crater wall at top left. This image was obtained at a phase, or Sun-Phoebe-spacecraft, angle of 78 degrees, and from a distance of 11,918 kilometers (7,407 miles). The image scale is approximately 70 meters (230 feet) per pixel. No enhancement was performed on this image.